As a farm manager, you understand just how vital optimal soil quality is to your operation. When soil quality deteriorates and modification to soil structure is needed, you only have a very short time before the next harvest to restore nutrients. Of course, the extent to which you improve the quality of your soil will depend on the current state of your soil and the structure you require for your next crop. But regardless of the crops you are growing, these quick tips will help you to restore the quality of your soil efficiently. Generally-speaking, well-structured topsoil will allow for water drainage with a continuous network of pore spaces. It will also allow air to move freely and not restrict root development. The seedbed of soil should allow for a uniform drilling depth, letting you place seed in such a way as it makes adequate contact with soil and easily takes up water. Above the seed, soil should be loose enough for seedlings to grow through. The addition of organic material to the soil can significantly increase its level of aeration. It allows soil aggregates to remain separate and intact, and helps to promote the activity of earthworms, which ultimately improve soil aeration and drainage. Poultry litter is one of many ways to add organic material to your soil. Typically, poultry litter contains a mixture of water, bedding material and manure. This mixture contains beneficial trace elements like chloride, boron, manganese, zinc and copper, and allows for the immediate availability of potassium, phosphorous and nitrogen to plants. When adding organic material like straw, ensure that it doesn’t become buried at plough depth; rather, spread it throughout the plough layer. This will allow the straw to break down quickly, as well as increase the benefits to the soil. The regular inclusion of grass breaks in the rotation will help to maintain the level of organic matter in the soil. When soil is well-drained, it is able to quickly dispose of surface water, thereby reducing the possibility of soil-damaging run-off. Run-off management is important here, because it can help to keep nutrients and soil in your fields and diffuse pollution risks. Ensuring that the soil is covered by crops will protect it from compaction, erosion and run-off. Stalks and leaves will shelter soil from the wind and protect it from the impact of raindrops. Although it may not look appealing, residues from manure and crops also protect soil and play an important role in improving soil quality. Indented rollers or aerators can help increase the surface area of sown seedbeds as well as reduce erosion via the provision of temporary water storage. They will also help to reduce the movement of particles. Where long distances and no obstacles are present, wind and water are able to gather both speed and power. In doing so, the likelihood of erosion in exposed areas increases. That being said, simply adjusting cropping patterns can help preserve the soil as well as play a role in improving soil. If you have long and sloping fields, splitting these with some kind of buffer like a fence or hedge can be a consideration. Any fields considered to be susceptible can be arranged in such a way as to channel run-off into boggy or low-lying areas nearby. Likely the most effective and important thing you can do to improve your soil, is to remove any evident soil compaction. This will help to increase the amount of available soil for rooting. 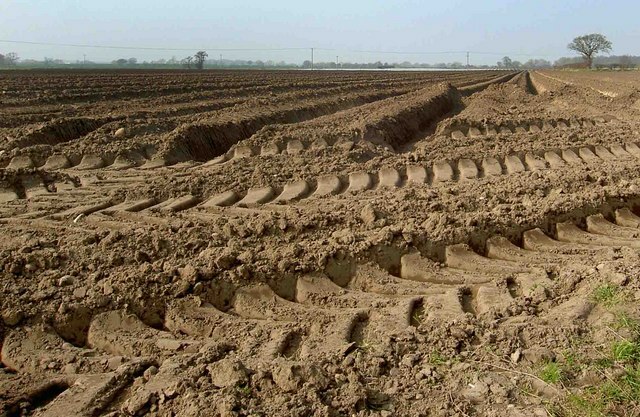 Tillage equipment needs to be carefully set to ensure that it’s achieving the correct depth. Holes should be dug on a regular basis to ensure that tillage equipment is working properly and effectively. If using powered cultivators, these should run at the slowest possible acceptable speed. This will avoid the over-cultivation of soil.